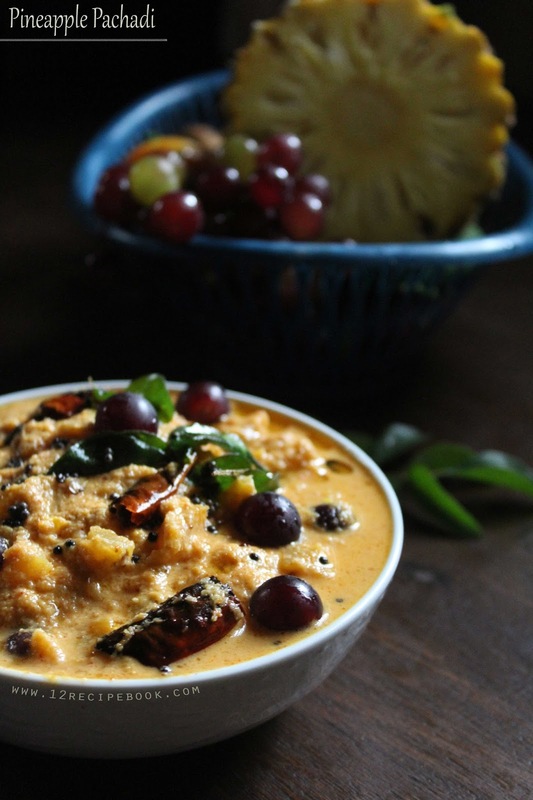 Pineapple pachadi is a traditional Kerala dish served mainly on the festive occasion of Onam and marriage functions. It is a tangy, spicy and delicious gravy prepared with coconut and curd. For most of them; It is the favorite curry in sadhya recipes. Cook thinly chopped pineapple by adding turmeric powder, green chilly, chilly powder and salt along with 1 cup of water. Cook covered for about 20 minutes till all the pineapple pieces cooked well and reaches mashed consistency. Grind the coconut along with mustard,cumin seeds and little water to smooth paste. Add it in to the curry; mix well and cook on low flame for another 8 minutes. 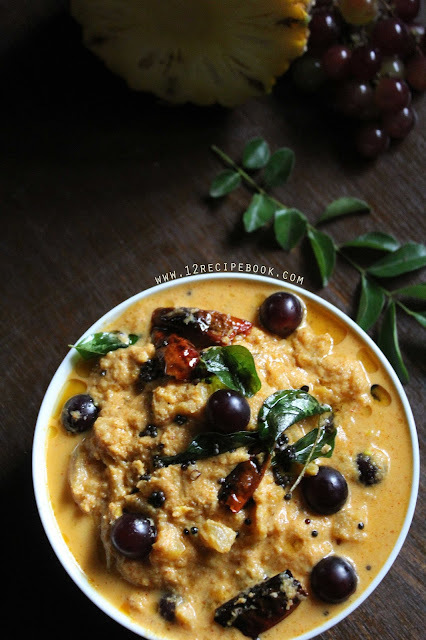 Switch off the flame; add beaten curd and grapes; mix well and do seasoning..
Heat coconut oil; splutter mustard, red chilly and curry leaves. Pour it over the curry and mix well before serving. Don't forget to garnish with grapes.